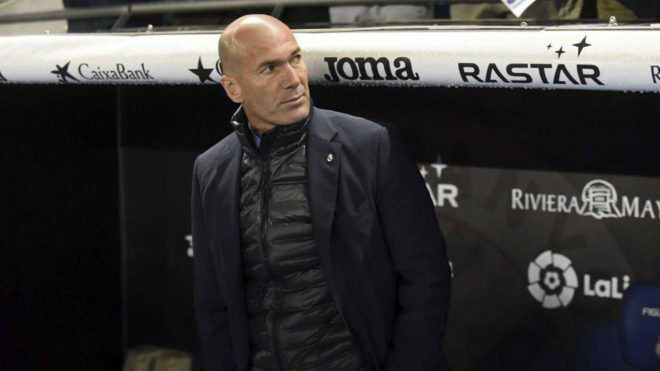 Real Madrid suffered another surprise defeat as Zinedine Zidane's rotation policy once again failed to earn a good result, this time at Espanyol. The coach was perplexed and felt that his side had been beginning to recover their good form and that they deserved more at the RCDE Stadium. "Sometimes, you can't understand football," he confessed. "You have to accept the bad times. "After five games of good results and good play, today we didn't manage it." The coach believes that the performance warranted more than going home empty handed, despite Gerard Moreno's late winner. "We didn't deserve the defeat," he insisted. When pushed on what was missing from the performance, he refused to single out any area in particular. "A bit of everything," was his analysis. "We started very well in the first half and we had chances, but didn't score. "We didn't find our style of play or any depth in the second half." Things were so desperate for a late winner that, even with the score still at 0-0, Zidane sent Sergio Ramos up front in an unusual move, one which he explained after the final whistle. "When it's 0-0 there are things that can happen," he said. "We always try to win and in the end we couldn't do it. "It's worse because at the end they scored a goal in the last minute. "It's difficult after that effort." Next up for Zidane and his men is a home league match against Getafe, which is followed by the Paris Saint-Germain second leg.